You are here: Home → Free stuff! 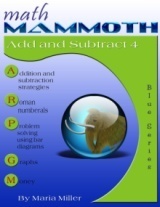 This page lists freebies and free resources from Math Mammoth and from HomeschoolMath.net. This is a free download of over 400 quality math worksheets and sample pages from Math Mammoth products (grades 1-9), AND from Make It Real Learning activity workbooks (grades 4-12). These free worksheets are reproducible for classroom use under single teacher. I've prepared THREE different ways for you to receive the download of these free sample pages (see below). In all of these you will get the bundle of free worksheets. Do I HAVE to subscribe to these emails if I only want the freebies? No; if you only wish to get the free worksheets, and not the articles or the newsletter, simply UNSUBSCRIBE using the unsuscribe link in the email once you've downloaded the sheets. However, I get a lot of good feedback concerning my newsletter and the articles, so why not give them a try... you ALWAYS have the option of unsubscribing with one single click. You CAN get these free worksheets also by visiting the individual book pages at MathMammoth.com. Just choose a book, and on that book's webpage you will find the sample worksheets on the right sidebar. But subscribing will give you the advantage of getting them ALL in one download, instead of 300 individual downloads. You read that right! I am offering three totally free books from Math Mammoth Blue Series, so that you can check out my books without having to pay. They aren't technically freebies, but they have been set to "Pay What You Want" at Currclick, which means you choose how much you pay. Or, you can pay whatever you feel they are worth to you. You will find dozens of free worksheet generators on the website HomeschoolMath.net, that can be used to make hundreds of different kinds of math worksheets. The site contains worksheets organized both by grade levels and by topics, approximately for grades 1-8. The placement tests for Math Mammoth are very comprehensive and detailed — so you can use them as generic math assessment tests. I have made TONS of math videos for grades 1-7, most of which match the lessons in the curriculum. See the videos here. At this link you will find online practice problems for various math topics. My two daughters have websites filled with various printable activities for PreK-grade 3 children. Check out for example these mazes, find the matching pair worksheets, copy the picture activities and animal dot-to-dots made by my daughters. I am a private tutor and work with a homeschooler, as well as other elementary students, on math skills. I think your worksheets are superb and very thoughtfully designed! And yes, I feel they are better than many I have seen (and used.) I plan on buying the light blue series, grades 1-3, in a bundle today! I also plan to purchase the rest of the series (grades 4-6 bundle) later this year after you finish aligning grades 5 and 6 to the standards. Thank you so much for the free samples, and for creating such useful and affordable math curriculum! I can't wait to start using it with my students! PS- I initially found out about you and Math Mammoth after searching for "teaching the multiplication algorithm" on Google and watching you video on that. The video is very helpful, and I love how you emphasize children understanding WHY math works as it does! Bravo! I am a coordinator for young adults with disabilities. They have varying levels of disability including, Downs Syndrome, Cerebral Palsy, Autism and intellectual disabilities. What i am trying to do is incorporate your worksheets into their daily activities to enhance their money handling skills. Your worksheets have already proved to be very successful with one of my guys and I will be using them now with more of them. They are very clear and quite easy for their level of learning. Thank you so much for doing these worksheets. I just wanted to let you know how helpful your free samples have been. We have been struggling through A Beka K5 math with my son this year. He just does not get addition and, even though he is usually terrific at memory work, has struggled with drill and memorizing his addition facts. Over the last week, I've supplemented with several of your sample sheets and expounded a little on your strategies (had him make groups with counting bears and write the combinations he's made, etc.) and have seen a marked improvement. We're not in the clear yet, but it's definitely helping. I look forward to purchasing more of your items, especially your blue series. Thank you so much for all the samples and for keeping your materials so affordable. I'm Dr. Dina. I am a mom of 3 kids all are in international schools and I read all your emails and found them very helpful for my kids, especially your videos. You explain with a very easy method and all worksheets are great. From my point of view, you are the best teacher of math at all. Thanks for your great efforts. I ABSOLUTELY LOVE YOUR BOOKS AND VIDEOS!!! I have used your teachings in my class. I teach 8th grade in an urban environment. Most of the children are poor, from broken families or not living with their parents, and have lots of issues self-control. Many have no real parental involvement and as, such, are not overly invested in their education. Some days are like pulling teeth with them! I love your clear-cut examples. For example, in your video demonstrating equivalent fractions, (something with which my students continually struggle), not only did you demonstrate using a picture as illustration, but you explained where students usually get confused or make mistakes. I need that, especially as a new teacher (3rd year) with students whose first language isn't always English. Pictures or other concrete examples help tremendously. I'd like to tell you how I use MM: one of my sons is very "mathy" and seems to grasp the big concepts easily. His big brother is a different story altogether; he struggles with seeing the big picture and therefore cannot understand what problem solving methods to use and why. I use MM as a supplement to our current math programs because its combination of visuals elements, logical, step by step explanations, and review have been what my struggling boy needed. MM breaks it down into manageable chunks that he can master, and his confidence has soared. I can write this having only used the sample worksheets; I can only imagine his results with using the whole program would be fabulous. Thanks for reading, and thanks for making such generous samples available. I had formerly used your free sheets to supplement my work as a special ed aide in a charter school. This Waldorf-inspired school approaches all its subjects from various angles, attempting to reach students in many different ways. It was helpful for me to bring in a different model for my kids upon occasion, or to use as homework to supplement class work. We have really enjoyed your worksheets. I use it to supplement what we already have. It helps explain things she does not understand. She has dyslexia, but has not been tested for other things. She loves it when I print your worksheets and we may just make the total switch next year since she likes how you explain it. We also watch all of your free explanations when they come through the e-mail even if she is not working on that topic now (she likes watching you even though you are really talking to the teacher). I've started using MM a few years ago, and I think it's great! I use MM worksheets in several ways. First of all, as a supply teacher I always make sure to pack a few worksheets that are appropriate for the grade I happen to be teaching that day. It happens quite often that there is not enough to do in the lessonplan, and then it's great to pull out a math sheet that is challenging and fun to do. The kids like them, because they have clear graphics that show them how to solve the problems. I also use them for my daughter. I don't home school her, but because she is an above average student, I find I sometimes have to offer her something more challenging than the things she is working on in school. I especially like the European Money worksheets. Originally we are Dutch, and we have some Euro coins that our kids use as play money. Lastly, I use them for tutoring. I have a few students I help with their math, and it's just great to be able to show them different ways of doing their math. One of my students really had a hard time with her times tables, but using your method she 'got' them in no time. MM really helped her! Honestly, MM is so versatile and complete. I wish I had my own classroom, so I could use them every day. Yes, I have tried out the worksheets. My daughter was having her last math test today, they are just starting on multiplication and division. She struggles a little in math and I wanted some additional worksheets (aside from the ones she gets in school) to help her understand the concepts. I also want her to do some review over the summer. We worked on a couple of the sheets last night. I really liked them and more importantly she did. I kept trying to explain them to her but she would say that she could easily understand what needed to be done. After we finished the ones I had planned, she wanted to do some more on her own. So they have been a big hit! I wanted the worksheets to supplement my daughter's schoolwork and do summer review. I have bought the entire package download of blue, light blue, gold and green worksheets, so I am set for the next three or so years. I think they are well thought out, easy to understand, and attractive. I love the worksheets! I am a high school special education teacher, working primarily with students identified as Significantly Limited Intellectual Capacity (SLIC), and I am always looking for new resources. I am also sharing them with my colleague who works with our higher functioning students with special needs. Additionally, one day a week I tutor veterans (on math and reading) who are trying to increase their education and training so that they can be gainfully employed - and I have used the worksheets with them. I love that no matter the level, the worksheets look professional, and none of my students feel like they are doing "baby work". My high school student perform at an elementary level, but are teenagers, and the veterans I tutor range in age from early 20s to late 60s - and while all of them struggle with math, they deserve to feel respected and valued in their learning attempts. Resources like yours allow me to do that. Thank you for sharing them with me, and for allowing/enabling me to share them with my students!